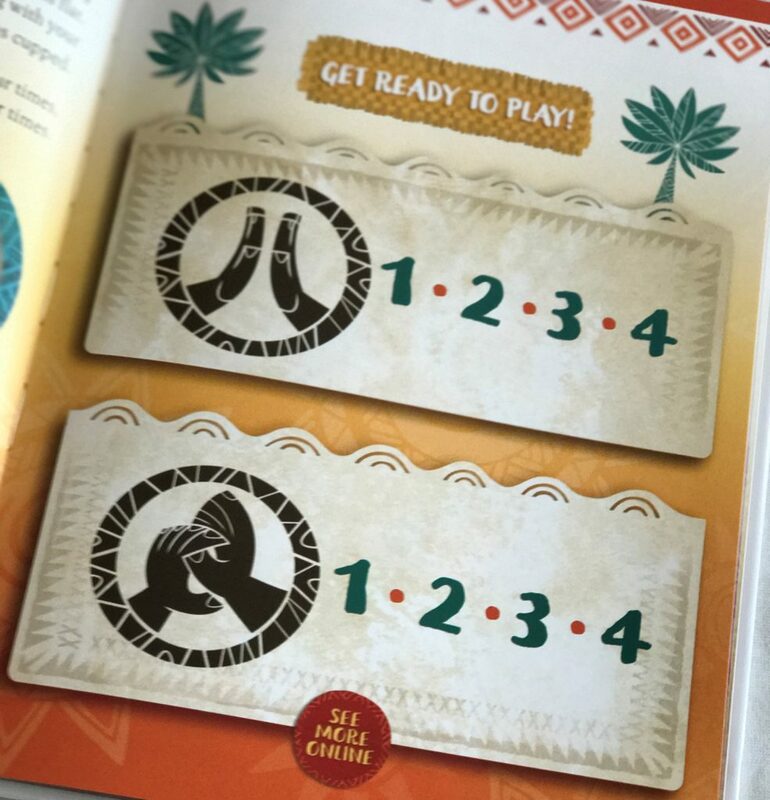 Moana, Maui, Pua, and Heihei are beloved characters in our house already, but now that they’ve taught us all of these new drum beats, we love them even more! 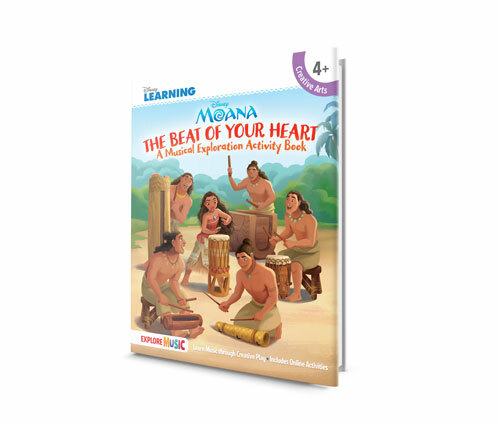 The Beat of Your Heart is a musical activity book full of culture, fun, sound, and creativity. 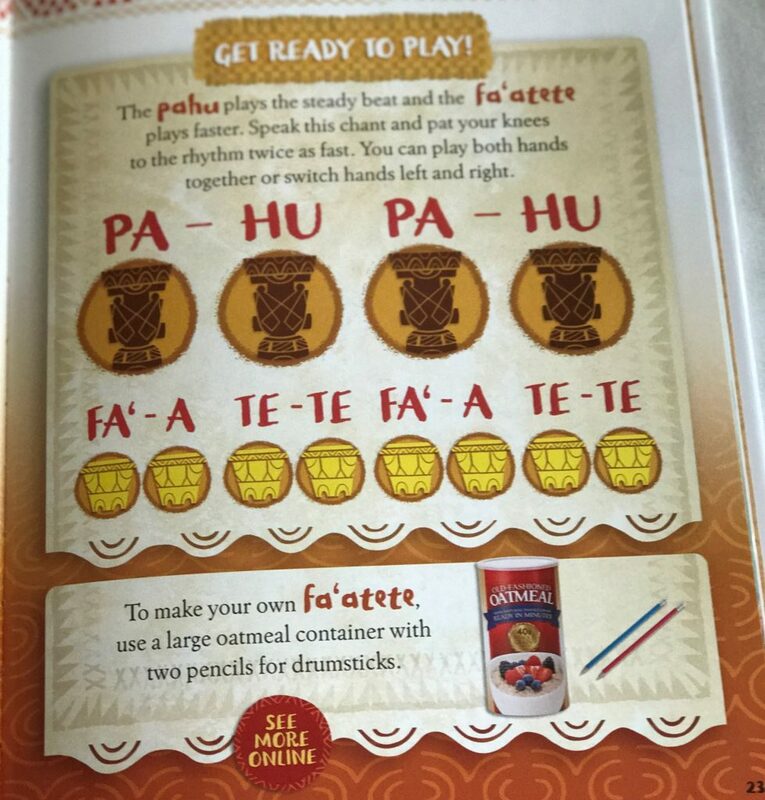 The rhythms progress from simple to difficult and are introduced along with percussion instruments like the fala, pahu, and fa’atete, which can all be constructed with household items. 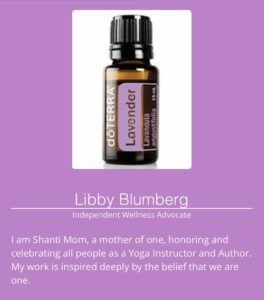 Thank you, Hal Leonard, for our complimentary copy of your book in exchange for this review. We will have lots of fun clapping, patting, and drumming! 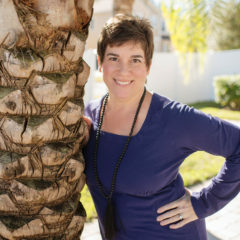 Visit Blog Mom Reviews for Mickey and Rapunzel’s musical exploration books from Hal Leonard. Feel the beat inside you when you play along with the Drums of Motunui! 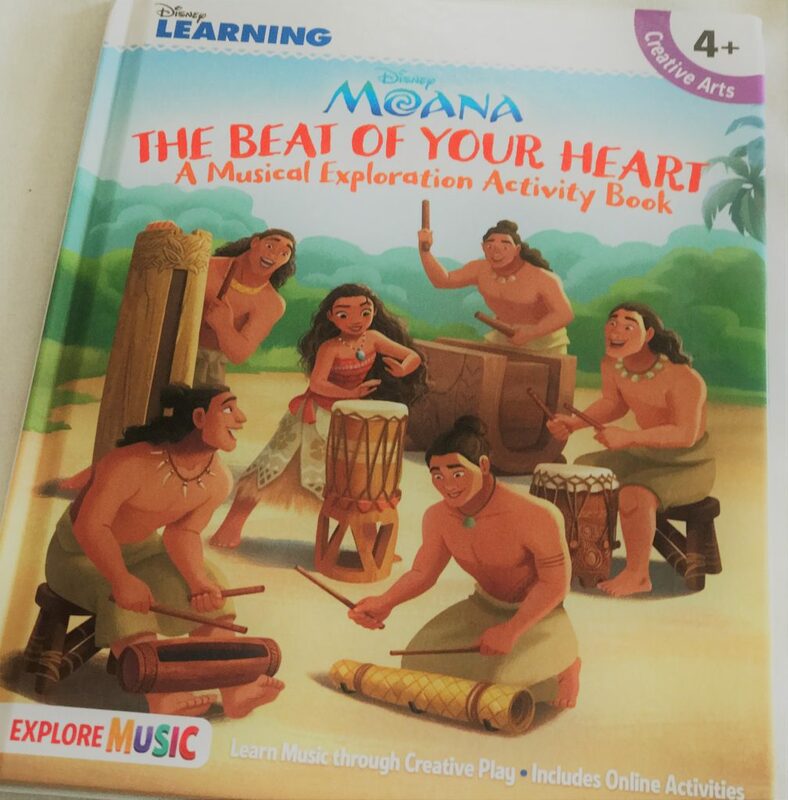 This beautifully illustrated book with online music, video, and drumming allows children to discover beat, rhythm, and the sounds of Motunui’s drums through activities and creative play with characters and artwork they’ll recognize from the Disney movie Moana. Includes online activities such as: video read-along, audio sing-along, and activities to explore sounds and sound makers. Singing and making music provide important benefits to children as they grown and learn. EXPLORE MUSIC books encourage children to be free to explore, play, and develop musical ability at their own pace which can establish a life-long love of music.